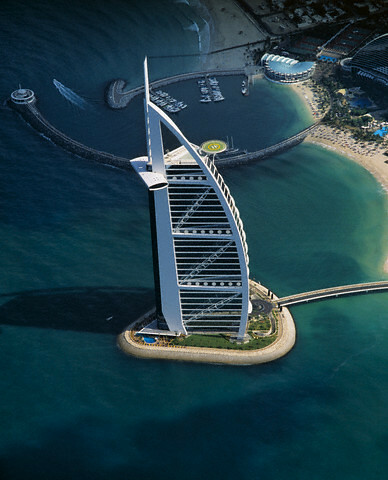 With a flight time of around 7 hours from the UK, Dubai is not a short distance away and as such it can often be difficult finding any sort of cheap flights. I have just done a quick search and at the moment you can get return tickets to Dubai from around £230, depending on what airline and what days you choose to fly on. The cheap flight prices listed above are for travel dates between 30th April and up until July – The prices start to rise in July when the cheapest price is then £321. As you can see the airlines are also some of the best, infact I would go as far to say that Qatar Airways is probably the best airline in the world and unlike some low cost airlines, the ones above won’t surprise you with hidden fees, these prices include taxes and fees! No More Check in desks at the airport. From May 1, if you book with Ryanair, you’ll have no choice but to check in via www.ryanair.com and print your boarding card yourself. If you fail to do so the fee for airport check-in has just risen from £4.75 to £10 per person per one-way flight, and from May 1 it doubles again to £20. That’s not all… let me explain, these fees are what you pay if you opted for airport check-in when booking. If you don’t pay then but just turn up at the airport check-in desk, the fees double again. So if you as a family of four check in this summer for your beach holiday, the traditional, unplanned way could find yourselves having to pay £320 extra on a return flight this summer (£40 per person each way). Even if you check-in on-line, you have to pay, it has introduced a new ‘web check-in fee’ of £5 per person only for those who have baggage… who can possibly go on holiday without baggage? So pay for you checked-in baggage in advance, online. If you pay at the airport, Ryanair’s fee for checking in a bag is twice as high – that is, £40 on a return flight. To avoid Ryanair’s stupidly high debit and credit-card payment fee Pay with Visa Electron. If you don’t have one.. either get one or you will have to pay! Keep within luggage limits. Ryanair recently started being much stricter in enforcing its one-bag hand-luggage rule and this includes duty-free purchases. You will risk being fined £30 at the departure gate for an extra bag. As for checked-in bags, try using less bags, Ryanair charge per bag…. hell why not get one massive bag for the whole family! Don’t bother with the £3 per flight priority boarding, it is a load of rubbish! Make sure you get the names right and are exactly as they appear on the passports, changing them costs £150 for a return flight! Beware of the Ryanair’s travel insurance, it can be way more expensive than using other companies. So are we picking on Ryanair? If you have bags to check in, you will probably find that it is cheaper to fly with an alternative to Ryanair that has lower fees for checked bags, airlines like easyJet, or even with a full-service airline, like British Airways. British Airways has a generous free checked-in baggage allowance and doesn’t charge extra for carrying most pieces of sporting equipment such as golf or ski bags, ogh and you don’t have to run for your seat!